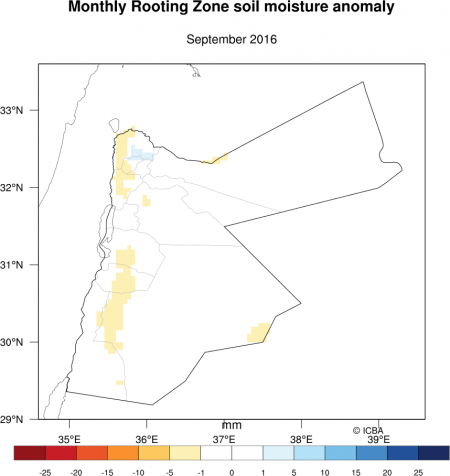 Three different water data sets are provided for Jordan and countries based on global data sets and generated through a combination of monitoring and modeling indices and anomaly data are provided as they give more useful insight-wetter/drier or more/less than usual. 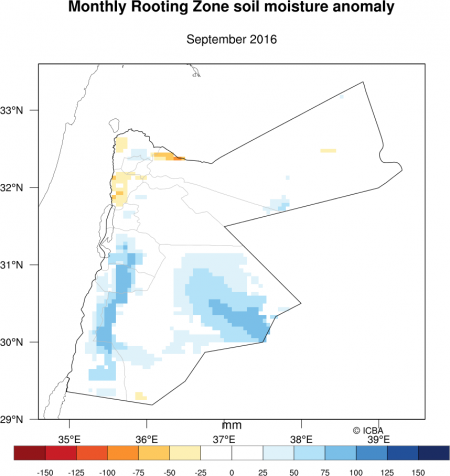 The index and anomaly information synthesize the various data sources across decades to give a meaningful overview of conditions this month for some of the most crucial water budget features in the region.Click on the link to find out “How Water data were generated”. 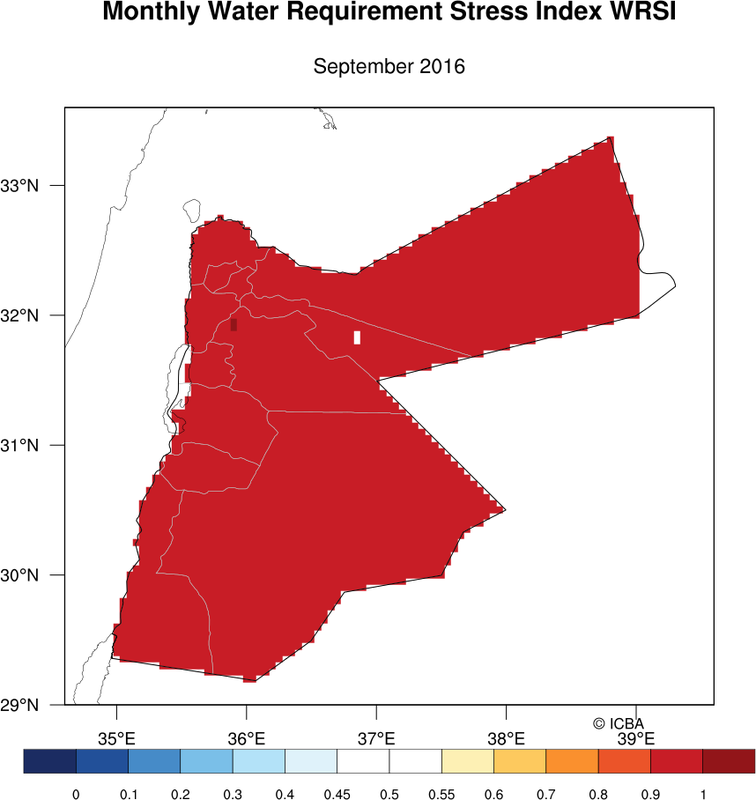 Monthly Water Requirement Satisfaction Index (WRSI) - The Water Requirement Satisfaction Index is the ratio of seasonal evapotranspiration (ETa) to seasonal potential evapotranspiration (ETp).